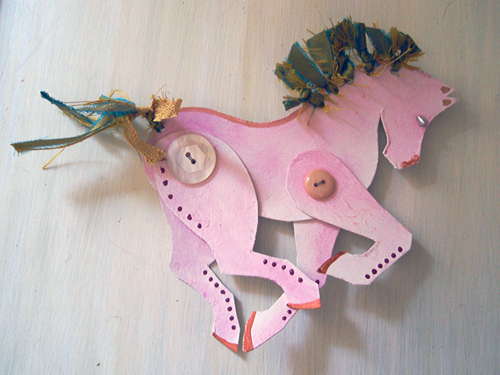 This week I spent a little time with my tiny garden-helper friend while mom was late at work… we made horses. Not sure who had more fun. Surprise… mine is pink. 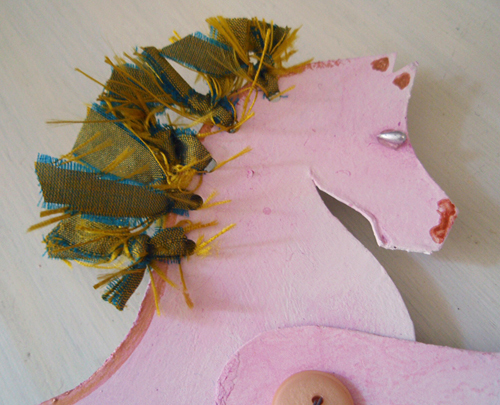 With a fancy dupioni silk mane & tail. So, I have a suggestion… make a horse! You will be happy. It’s as simple as that.